Mixed feelings of nostalgia and anticipation welled up as I stepped into McDonald’s Marine Cove, setting eyes upon the iconic yellow arches that now grace the tall ceilings like a lucky charm. 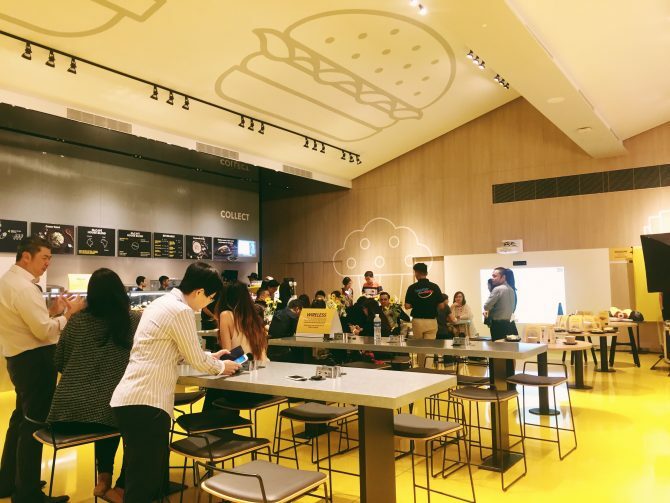 Once the dining location of choice for bashful first dates, class gatherings and park-goers, Mcdonald’s at East Coast Park had chalked up 30 years of wonderful memories before its 4-year hiatus. Come Saturday, 2 July 2016, McDonald’s will once again open its doors to the public — but not without a sleek facelift. Now, the space is bright and cheery with canary yellow flooring and minimalist symbols of signature menu items splayed across the walls. 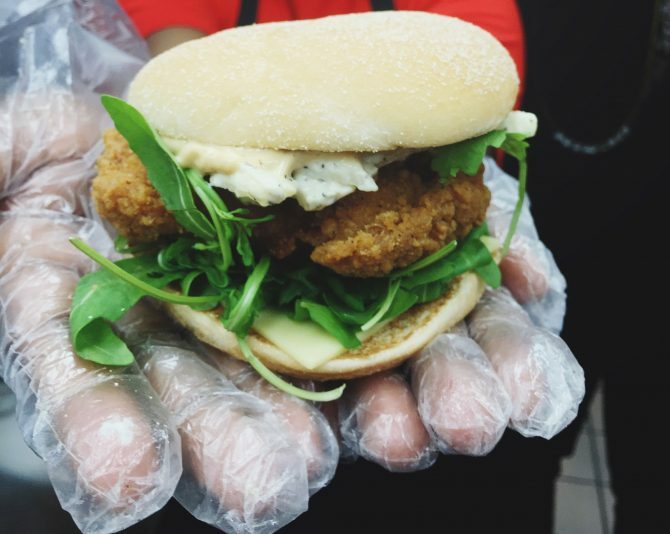 Fast-food and salads aren’t exactly a match made in heaven, but McDonald’s Marine Cove is about to change that. 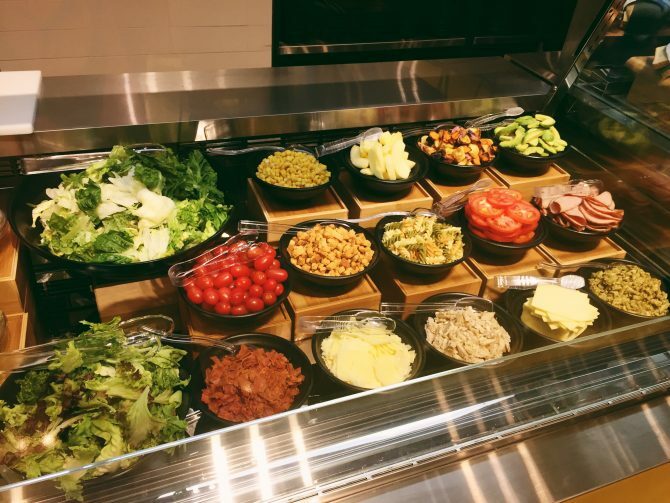 Its salad bar offers three different salad choices (from $3.90): Asian, Caesar and Classic Green, with the freedom to further customise your picks with a range of add-ons ($0.60-1.20). 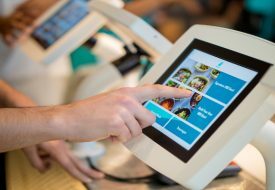 In case the dessert kiosk isn’t enough to satisfy your cravings, there’s now a whole dessert bar where diners can create their own custom sweet treat. With a variety of 17 toppings to choose from, there are countless ways to personalise your McFlurry or Sundae. 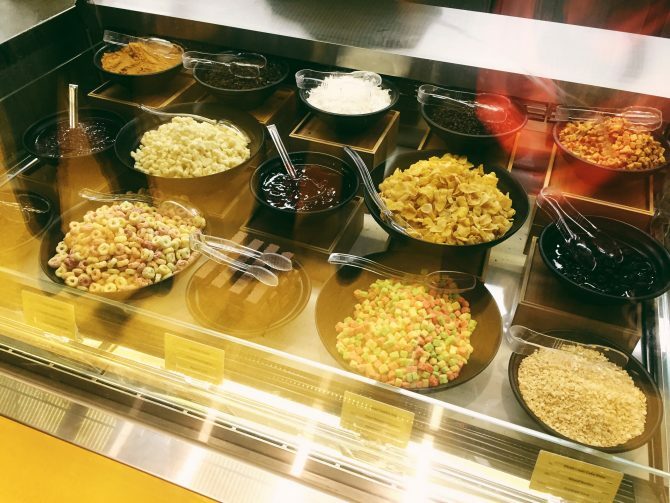 Toppings include corn-flavoured cereal, rainbow butter bites, chunky purple potato and sauce — and the best of all, Reeses bar! Exclusively available at McDonald’s Marina Cove are a collection of premium burgers — with bigger patties and sumptuous fillings. 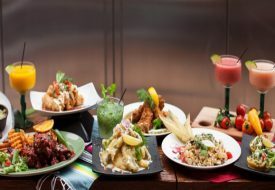 The line-up includes the Classic Cheese and Spicy Tortilla which feature the Angus beef patty, as well as the Spicy Chicken with Apple Slaw. McCafe’s new offerings include soups, sandwiches and even sweet endings in the form of affogato and waffles. The mushroom soup in particular was rich and fragrant, with portobello mushroom bits within — it paired perfectly with buttery croutons. What’s brunch without some fluffy waffles? McDonald’s Marine Cove is giving your favourite hipster cafes a run for their money with their new Belgian waffles. 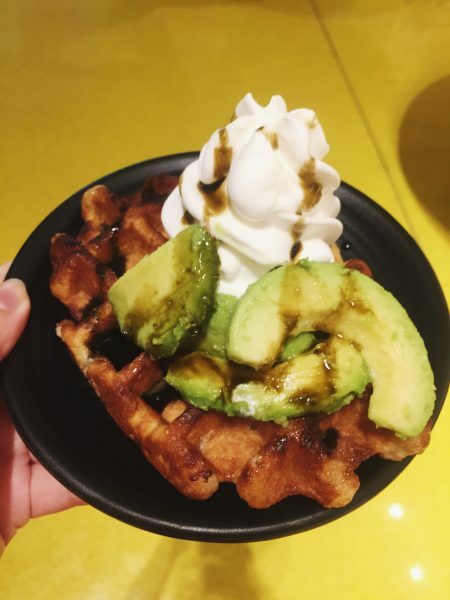 The Belgian Liege Waffle with Avocado, Gula Melaka Syrup and Sundae is an interesting combination that somehow works. The creamy texture and mild flavour of avocado slices balanced out the sweetness of the gula melaka nicely. Never run out of juice again! Wireless charging stations are available to recharge your mobile devices while you recharge your energy with tasty bites. The only downside is that these stations are available only at certain tables. 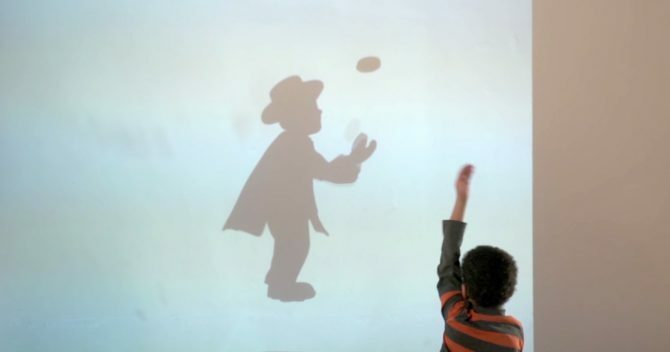 Adults and kids will be fascinated and entertained by the Shadow Wall, an interactive fixture. As you walk past the Shadow Wall, your shadows will be transformed into various MacDonaldland characters. 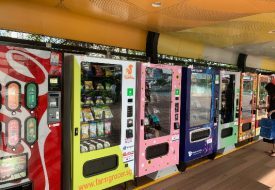 One of the family-friendly features at McDonald’s Marine Cove is the pram parking area, perfect for parents who come with their little ones.